Dancers | Tensor Machinery Ltd. 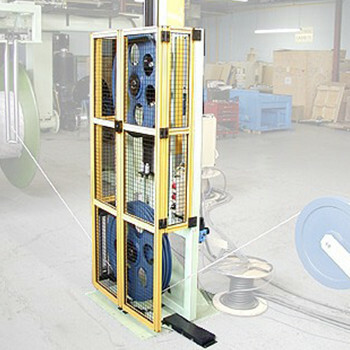 The Tensor dancer is designed to control the speed of the driven pay-off and provide tension on the cable product or strength member. The size of the dancer depends on the cable diameter being used. Most dancer designs consist of two fixed sheaves on the bottom and one moving sheave on the top. The cable is tensioned between these sheaves. 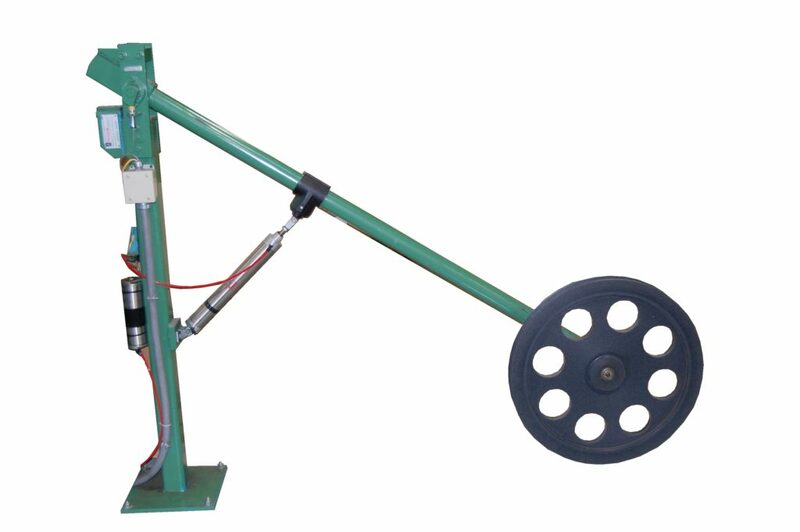 The moving sheave carriage is mounted on rails designed for low tensions. The carriage is counterbalanced with a weight so that low tensions can be achieved. A pneumatic rotary air cylinder or a torque motor is used to pull the carriage and provide the tension. The carriage position is sensed using a non-contact sensor. The tension range can be designed based on the cable product being run. This style of dancer also allows for some cable accumulation, which makes it better for absorbing any cable jerking. It also allows for more stable speed control. 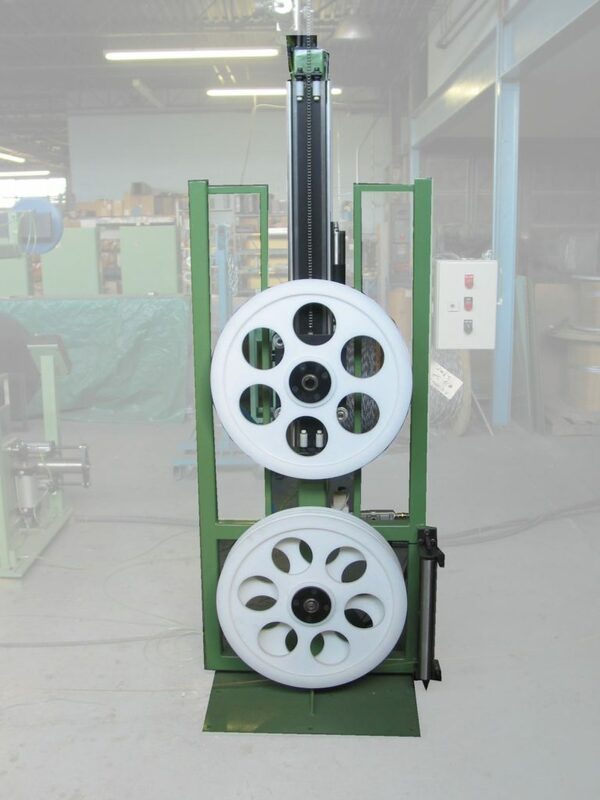 We also have the dancer arm design using weights or a pneumatic cylinder to provide tension on the cable.